One of the latest additions to our online store, this Inova 5ft black metal bed frame is ideal for any master bedroom. Not only does this 5ft bed frame offer a wider sleeping space, but a king size bed frame is also longer than your UK standard double bed frame. This INO5BLK Inova 5ft king size bed is suitable for use with any UK standard 5ft king size mattress, we have a selection available on our bundle deals via the drop down tab. The Inova INO5BLK king size bed frame features a sprung slatted base, centre support rail and an ornate design. We offer free next day delivery on all our INO5BLK Inova 5ft black metal bed frames, when purchased with or without a mattress. 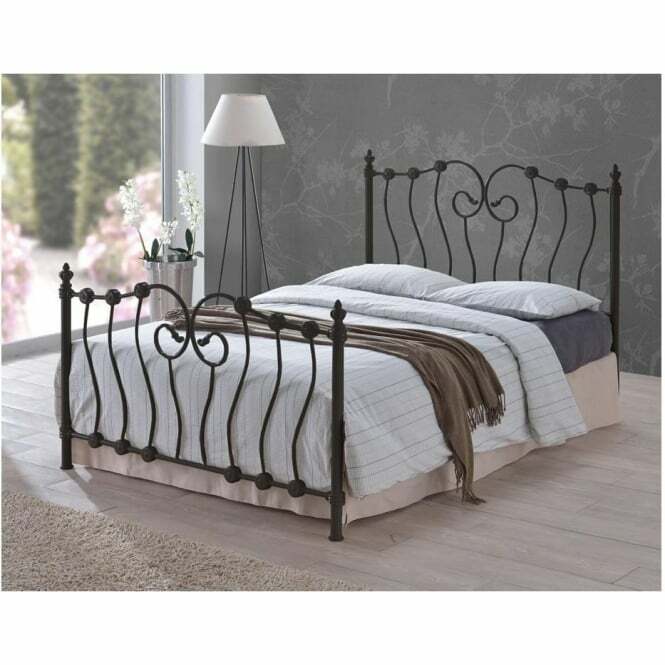 This 5ft Inova black metal bed is part of the Inova range by Time Living and is covered against manufacturing defects and faults via its manufacturer’s warranty.